Many would associate this Pikemans Peaked Morion Helm with the Spaniards and their Conquistadors, but the truth is that it was a style of helmet that was favored all across Europe, by many different warriors from many different nations. 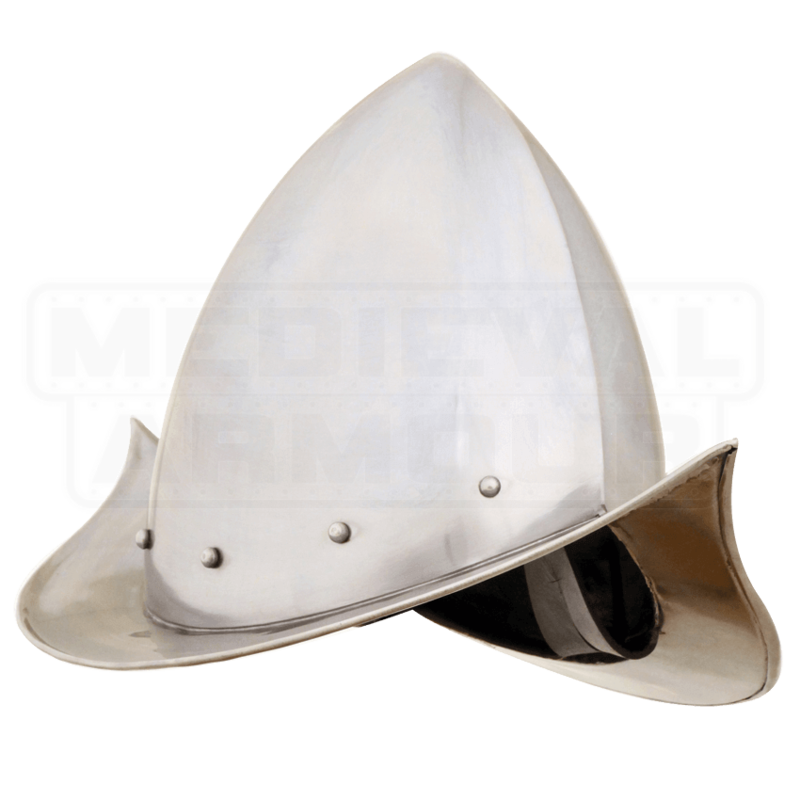 The style of the morion helm makes it a distinctive and instantly recognizable piece of protection, with a tall peak that helps divert force and attacks down the sides of the helmet, and a curved brim that helps protect the wearer from downward strikes, falling debris, and projectiles. This helmet is made entirely from 18 gauge mild steel. The helmet comes with an internal liner, and is offered in one size. This Pikemans Peaked Morion Helm is a historical piece that is made for functionality, making it an integral part of any warriors attire, which will not only add protection, but also a unique flare of historical style, too.